Room Service, Baggage Storage on Request, ATM/Banking, Business Facilities, Banquet Facilities, Backup Generator, Breakfast Services, Gym, Laundry Facilities, Doctor on Call. Attached Bathroom, Bathrobes, Bottled Water in Room, Wakeup Calls, Climate Control, Television Room, Air Conditioning Room, Bathtub Only, Desk, H/C Water. 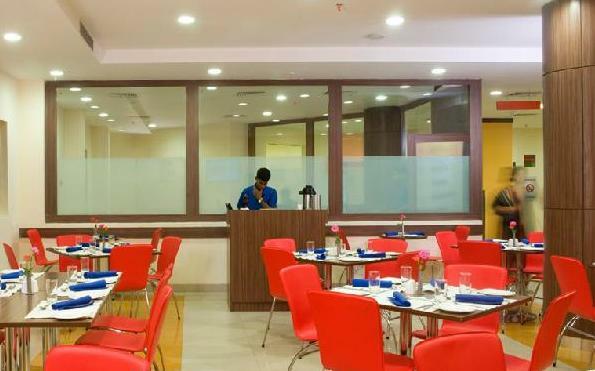 ATM/Banking, Banquet Facilities, Breakfast Services, Business Facilities, Conference Hall, Doctor on Call, Laundry Facilities, Parking, Restaurant, Room Service. User reviews for "Ginger Hotel Coimbatore"